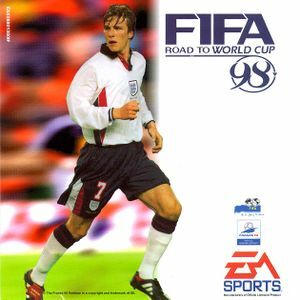 Not to be confused with FIFA World Cup 98. FIFA: Road to World Cup 98 supports 2 rendering methods (Software Rendering and 3dfx). Due to compatibility issues, it's recommended to use nGlide 3dfx wrapper, which offers both better performance, better graphics as well as better stability on new machines. It can be downloaded here. Vsync can be forced from 3dfx wrapper. 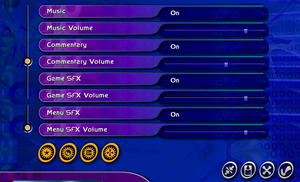 4 Requires additional controllers. Mouse can be used to play the game. Create a folder named FIFA RTWC 98 somewhere on your hard disk (recommended location: C:\games\FIFA RTWC 98). From a root folder of FIFA cd copy files eacsnd.dll, fifa98.ico and fifartwc.exe to FIFA RTWC 98 folder on your hard drive. Copy folders AUDIO, COMM, COMMON, FEPACK and INGAME to FIFA RTWC 98 folder on your hard drive. Download an installation package for FIFA: Road to World Cup 98 and extract it. Go to a folder containing newly extracted files and double click on key.reg to add it to Windows registry. Go to Compatibility entries folder and run PatchInstall.bat to add entries to compatibility database. Navigate back to a folder where key.reg was and open a CD reference folder. From a folder that corresponds to a letter used by your CD drive in which you have FIFA RTWC 98 CD, copy INSTALL.DAT file to FIFA RTWC 98 folder, where you've been placing all the other files from a game. Launch the game using FIFARTWC.EXE. This page was last edited on 28 August 2018, at 11:28.